Websites, Podcasts, Blogs, Message Boards, yes there are quite a few to choose from. Many websites are short on real Las Vegas information and, unfortunately, are just trying to sell you something. Here's a list of some of the places that we frequent (besides LVFB!) when planning a trip or to just get an update on what's happening in and around our favorite vacation destination. We'll also give you a few of the weekly freebie publications you'll find when you arrive in Las Vegas that are filled with coupons and entertainment choices. Check them out online before your trip to see if they have a coupon that will save you some money, then pick up a copy when you get in town and clip the coupon. Vegas Gang - The Vegas Gang Podcast focuses on the gaming industry and issues relating to Las Vegas, Macau, Atlantic City and other destinations. This is the smartest gaming podcast on the whole Internet. Probably not for newcomers to Las Vegas, but if you're interested in what goes on in the gaming industry, it is very informative. The Vegas 30 - Their tagline "Too old to stand in line, too young to retire to the bingo hall" is a good description of these two enjoyable hosts, Scott and Alison. Your tastes for things to do in Vegas is not the same at 35 as it was at 21 and that's the focus of their podcast. "Things you MUST do on your first trip to Las Vegas" (Episode 2), and "Is Fremont Street worth the time" (Episode 5)? are just a couple of good podcasts to start off with if you're new to traveling to our favorite city. Subscribe to them in iTunes and give them a good rating. Las Vegas Locals - Formerly of the podcast Pub Crawl where they recorded 122 episodes, David and Alicia serve up some great podcasts. They let you know where to go, where NOT to go, who serves overpriced drinks, who has good drink prices, and they do it while at the location they're talking about. They are always entertaining, with some great tips. Check out their site, subscribe to their podcast, and enjoy. Five Hundy by Midnight - Tim & Michelle have one of the longest running weekly podcasts that you can download on iTunes. Their companion website gives more information and links on what was discussed during this week's podcast. Tim also hosts the Fremont Street Bars site, just click the link. Vegas Jonesing - Great discussion forums with a very pleasant, knowledgeable member base. VJ offers a premium option that costs a little extra and gets you some extra forums, but the free version is very useful. The Vegas Solo - A helpful site all about planning a solo trip to Las Vegas. Everything from where to stay, solo dining tips, informative blog, etc. A very useful site when you combine it with ours! Las Vegas 4 Ever - A good forum that is a pleasant place to interact with other folks who enjoy LV, whether this is your first trip or not. Register with the site and post a question you have. You'll will surely get some good advice back. Vegas Message Board - This is another good forum that has been declared a "snark free zone" by its moderator. Very helpful and a very pleasant place to go for information. Stiffs and Georges - David McKee's 12 years of covering the gaming industry comes through in his Las Vegas Advisor blog. Good reading about the state of gaming and what's going on in our favorite city. 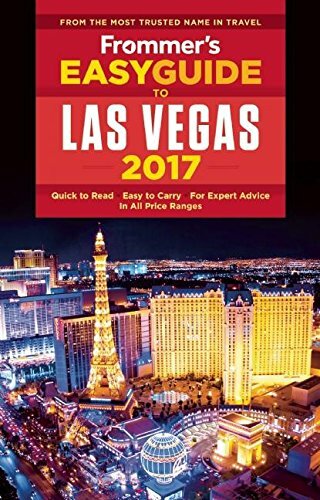 Vital Vegas - Run by the 2012 PR Daily award-winning blogster, Scott Roeben, this is always an entertaining read. Scott posts pictures and video of what's happening in our favorite city, often with a humorous twist in the post. Check it every day! Pulse of Vegas - The official blog of Caesars Entertainment keeps you up to date on what's happening within the Caesars empire. Las Vegas Sun - When your resort fee includes a newspaper, it will be USA Today during the week and, usually, the Sun on the weekend. But, be sure and look at the Sun in your hotel's gift shop. It's a great source of local information, and on Fridays they have an entertainment insert that is top notch. Today in Las Vegas - This link will take you to the digital edition, but the do offer a mailed edition if you so desire. Subscribe online and have the digital edition sent to your e-mail folder every week. You'll also find a few previous weeks editions archived on this page also. Today also has a great map in the center of the magazine showing major streets, hotels, shopping locations, a separate downtown map, and a listing of resorts and their "800" phone numbers. Las Vegas Weekly - This is a large-format magazine that you'll find around Las Vegas. It also features articles on entertainment, night life, and restaurants. Las Vegas Magazine - "Your Guide to Everything Las Vegas" is how they bill themselves, and this one is pretty accurate. It is full of ads, but you expect that. This magazine has a by-resort listing of dining, night life, shopping, attractions and resources. In their resources area is another good map of the strip and downtown areas along with a few listing of distances in miles from one resort to another. Las Vegas Welcome Sign Live WebCam - If you want to see what's going on at the most recognizable signs in the world, click on over and see what's going on LIVE. We enjoy it for our little Vegas "fix". Who knows, you might see a wedding picture, Elvis, or a group photo. Be sure and check out the archive at the bottom of the feed for some of the more interesting pictures. Las Vegas Advisor (LVA) - The granddaddy of them all, this site is deep with content. The Question of the Day gives you a lot of fun and useful information. This site offers the Member Rewards Book that was discussed in the "Save $" tab. If you don't sign up for the membership, you're restricted to the "Free-for-All" in the forums section. This forum is sometimes useful, although there are posters who will hijack a thread and ruin it for everyone. Little Vegas Wedding - We like this site because it reminds us of ourselves: not a Vegas "insider" constantly trying to sell you something, but a site trying to provide useful information to Las Vegas Travelers and get past the assumptions people make about a trip Las Vegas. Kelly does an excellent job (From Canada, no less!) of providing information to folks who want to get married while traveling to Las Vegas. Look on "The List" page for some of the different Wedding Venues you can choose from. Go to her blog and take a look at photo submissions from real Las Vegas weddings and to check out her wedding planning tips. You can also take a look at her Facebook page, subscribe to her Twitter & RSS feed, or check out her Pinterest page. Rate Vegas - Before he came up with the Vegas Mate app, Hunter had a few years of Rate Vegas under his belt. This is a great site and deep in content and help. You can select Hotels, Restaurants, Nightclubs or Shows and you'll get a listing by hotel of what is offered. Say you're staying at Aria, select it and you'll get a rating of the hotel and all the restaurants, nightclubs, and shows will be rated with a $ sign denoting cost. Go a bit further into the site and you can get an overhead Google Map view of the hotel you're staying at showing the streets going and coming from it so you can get your bearings before arriving. There's an "Ask the Experts" section to get your pre-trip question answered. Give it a good once-over, you'll be glad you did. Vegas Chatter - An excellent place to go and read posts about what's newest in a city that is always changing. Good articles that don't take a long time to read along with a good picture or two. Vegas Tripping - Vegas Tripping has a lot of information and pictures about what's going on in Las Vegas (also Macau, Atlantic City, and Reno). You can visit their blog, read trip reports from other Vegas visitors, study up on the latest reviews of new Vegas hotels and restaurants, it's a wealth of information. If you're not a seasoned gamer, you can read the Casino Gambling Strategy page and get some knowledge before you go and put your bankroll on the line. Along with Rate Vegas, this is definitely a site you need to visit (along with LVFB, of course). Vegas Downtown Report - "All About Downtown Las Vegas" and he means it. Information about D/T hotels, bars, restaurants, entertainment, and other discussions affecting the downtown Las Vegas visitor are covered. Safe for work, it's a good read. LV Transit Bus Ride Tracker - This site (for your mobile device!) is a GPS enabled mobile site that will give you accurate information about the arrival time of your bus. Go to RTCSNV.com, click on "Transit", click on "RideTracker", then enter the ID # of the stop you're at. Refresh your browser to see the progress of your bus getting to your stop.